Our on-site Café is the perfect place to grab a quick snack or hearty full lunch. 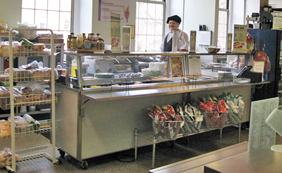 Try the fresh salad bar, hand-made sandwich selection, or one of the many daily hot, home-cooked meals. Click here for this week’s café menu. Get a kick-start to your day, or work off your stress at day’s end at the on-site Fitness Center equipped with treadmills, weights, and other standard equipment. 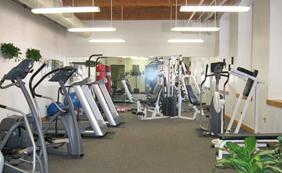 The Fitness Center is free to all office tenants.